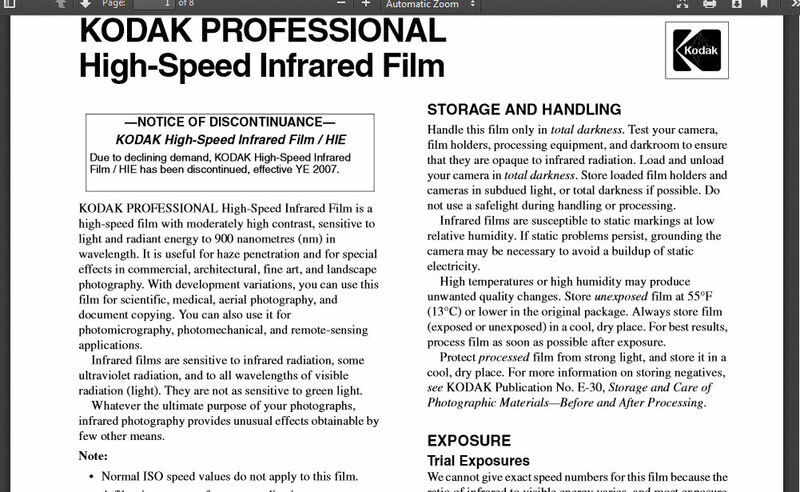 In 2007 the once mighty Kodak brought back from usage retirement the word discontinuance. They then began to stamp the products that they were rapidly removing from the market with that unnerving expression. It was in 2007 that the mighty owners of Rochester, New York decided to ax the wonderful Kodak b+w Infrared Film which I purchased in 35mm cassettes. The beauty and wonder of the film is that results were not always sure. There was a dangerous air of unpredictability. Those photographers who liked the film then resorted to having camera technicians remove the built-in infrared blocking filter of their digital cameras. It made unpredictability not so and quite a few lost interest in that exercise. Yours truly still has about 30 rolls of the film in his freezer. He (me) is waiting for that ideal paragon of female beauty to appear upon the horizon. Until then I can only dream and hope that the paragon does not appear after this man is issued his discontinuance.